The home was built in 1902 for Albert Olmsted, the brother of Frederick Law Olmsted, who designed Central Park. A 14-room mansion known as The Wildacre Estate was recently sold by Campbell Soup heiress Dorrance Hamilton for $14 million, reports NBC. The home was built in 1902 for Albert Olmsted, the brother of Frederick Law Olmsted, who designed Central Park. 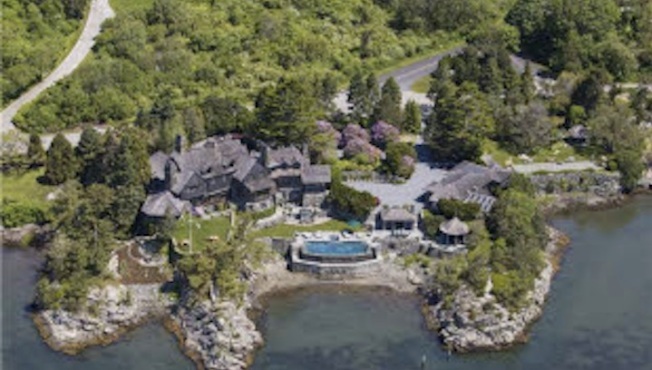 The $14 million price tag makes it the third most expensive home ever sold in Newport. Wildacre, sitting on 2.5 acres overlooking Prince's Neck Cove and the Atlantic, features an 8,180-square-foot mansion with classic peaks and gables. The original listing was for $15.75 million. See the full story on NBC.